Loft Conversions have been around for many years and are still to this date an extremely popular choice for home renovation. At Clarkson Builders our creative team have put together their minds and come up with ‘The Benefits of Having a Loft Conversion’. Take a look below to see what we have come up with. There are three main loft conversions out there which are; Velux, Dormer and Hip to Gable. All of these conversions are specifically made to enhance the appearance of your home. The idea behind a loft conversion is to create extra room within your home without having to break the bank. Velux – Known for adding extra light into the room, completed with a clean, attractive and fresh finish to the space. Dormer – If you are looking to add extra floor space then this is definitely the one for you, they also introduce high flat ceilings to create a far bigger feel. 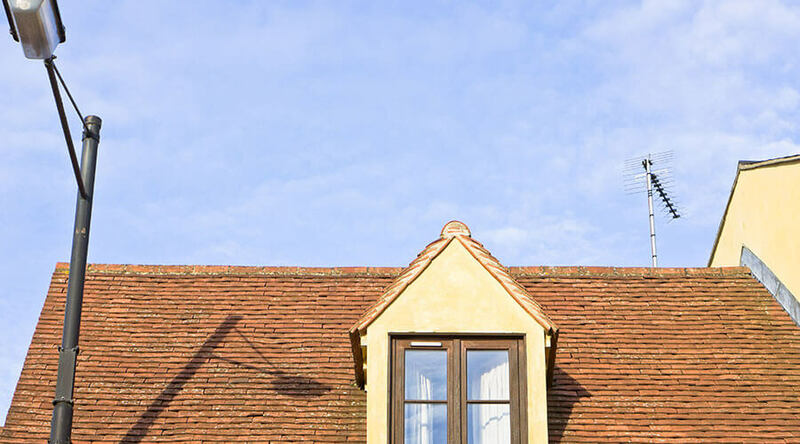 Hip to Gable – This type of conversions creates a triangular shape roof, by using the existing side wall, great for creating extra space and light. Loft Conversions are a great investment for the future, although it may cost you a little in the beginning in the long run it will add more value to your home if you decide to up sell and move. If your current loft space is completely unused and lifeless, then deciding to get it converted into something far more practical is definitely a pleasing added extra to your home. It is very common nowadays for people to convert a loft rather than move house, there are many implications which are not satisfying to moving home. For example, the stress, the money and the amount of time it takes for you to see results. Our builders in Milton Keynes are number one for providing cost effective and proven solutions with our loft conversions. The list is endless as to why loft conversions are a positive addition to your home, if you have any further questions regarding our services feel free to get in contact by visiting our website today.